Users of Microsoft Office 2010, 2013, 2016 are facing trouble during telephone activation. An error message “Telephone activation is no longer supported for your product” will be showns. Here are a few details. 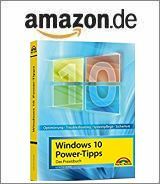 I’ve covered this issue on January 2017 within my German blog post Office 2010: Telefonaktivierung eingestellt? – Merkwürdigkeit II. During an attempt to activate Office 2010, the activation wizard shows a message “Telephone activation is no longer supported for your product”. So an activation is prevented. Some users has found alternative phone numbers to activate their Office products. Now Microsoft has confirmed, that this is an error in Office activation process. The article “Telephone activation is no longer supported for your product” error when activating Office says, it applies to Microsoft Office 2016 (Excel 2016 Word 2016 Outlook 2016 PowerPoint 2016 OneNote 2016). But this seems that the phone activation error affects also Office 2010 and Office 2013 (see this MS kb article for Office 2010 for instance). The linked Microsoft site provides a select box with country names. After selecting your country, alternative telephone numbers for Office activation will be shown. So give it a try, if you are facing activation trouble. Note: Office 365 subscriptions and click to run products are not impacted. This entry was posted in issue, Office and tagged issue, Office. Bookmark the permalink.